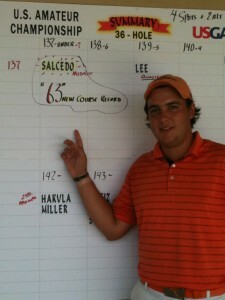 Juan Salcedo Shoots Course Record! Good friend Juan Salcedo’s son, also named Juan but called “Juanello”, shoots a course record 63 today in the US AM qualifier at the very difficult Gary Player course here in the Woodlands. The Player has hosted some big events and many of the best players on the planet have played there, so to hold the record on that track is an incredible accomplishment. Congratulations Juanello!! Thought I’d create a place where players can share any stories, hopefully all positive , regarding their experiences with the shafts.